Founded in 1954 to be a dynamic force in developing choral music in Ireland, the Cork International Choral Festival is held annually over the five days preceding the first Monday in May. Cork welcomes choirs from across the world for a programme of Gala concerts, Schools Concerts, National and International Competitions, and world-class performances, as thousands of participants bring the city to life for a celebration of choral music in all its many forms. Here at The Shelbourne Bar we have been avid supporters of the Cork International Choral Festival for many, many years and this year is no different! Returning to Cork from 01st – 05th May 2019, we are very proud to feature, yet again, on the prestigious Choral Trail. This year we welcome the Dominanta Choir from Poland and the return of the Sing For Your Life! Choir all the way from Australia (you might remember when they performed in The Shelbourne Bar back in 2016!). Here’s a little bit of background about these two incredible choirs….. Founded in 1970, the Dominanta Choir is a mixed-voice ensemble made up of students and graduates from Kraków’s University of Economics. The choir’s wide repertoire includes early music and contemporary compositions, works by Polish composers, and collaborations with renowned musicians to perform large-scalechoral works. Recent international successes have included a golden diploma and silver medal at “Siauliai Cantat” in Lithuania, the Grand Prix at the 2014 International Festival of Youth Choirs in St. Petersburg, and a special prize at the International Choral Festival in Antalya, Turkey. Since October 2008, the choir has been conducted by Małgorzata Langer-Król who studied choral conducting at the Kraków Academy of Music under Professor Adam Korzeniowski. Following her work with the Dominanta Choir, Małgorzata won the prize for the Best Young Conductor at the Cracovia Cantans International Choir Competition in 2012, and in both 2011 and 2012, was awarded Best Conductor at competitions in Myślenice. The Sing For Your Life! 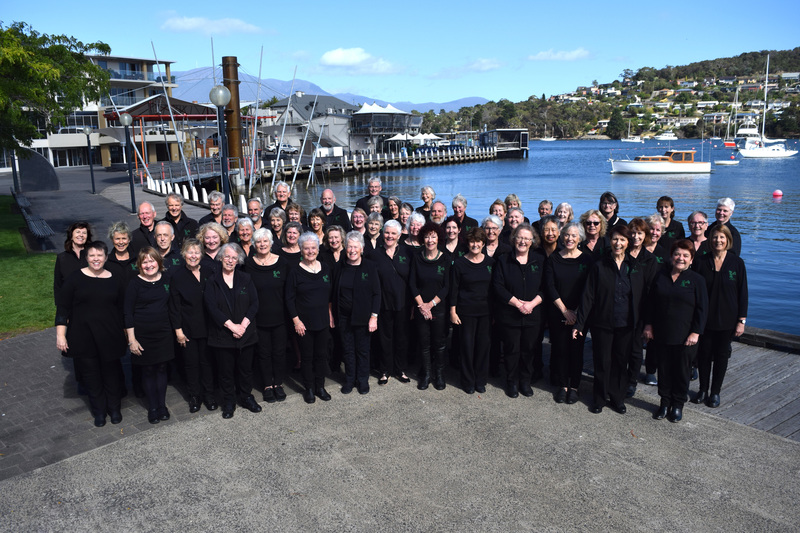 Choir is a non-auditioned community choir based in Tasmania, AUSTRALIA. We sing a range of songs – mostly Gospel, African and World music – all in three and four part a cappella harmony. The choir started in 2005 as a short singing program funded by the Multiple Sclerosis Society, for people living with MS. After six months of about a dozen people singing regularly together, the MS Society program ended but the singers wanted to continue. In March 2006 we became the Sing For Your Life! Choir and we began welcoming new members, with the choir now open to anyone who wants to join. The Musical Director of the Sing For Your Life! Choir is Jane Christie-Johnston. Jane was involved in running the original MS Society program and and took on the role of coordinating the choir at the end of 2006.